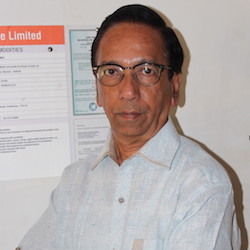 We are “Dhanlabh.In”, a project of Mr. Pradeep Joshi, a retired Chief Engineer and now full time finance & investment consultant residing at Sawantwadi..
Our website address is: https://dhanlabh.in. Our contact details are here.. The site is developed using WordPress CMS. By default WordPress does not collect any personal data about visitors, and only collects the data shown on the User Profile screen from registered users. The contact form submission data like IP address, user agent, name, email address, website, and message is submitted to the Akismet Service (owned by Automattic) for the sole purpose of spam checking. The actual submission data is stored in the database of the site on which it was submitted and is emailed directly to our registered emails. This email will include the submitter’s IP address, timestamp, name, email address, website, and message. IP address, WordPress.com user ID (if logged in), WordPress.com username (if logged in), user agent, visiting URL, referring URL, timestamp of event, browser language, country code are tracked for visitor analytics. We at “Dhanlabh.In” does not have access to any of this information. For example, we can ONLY SEE that a specific post has 285 views, but we cannot see which specific users/accounts viewed that post. Stats logs containing visitor IP addresses and WordPress.com usernames (if available) are retained by Automattic for 28 days and are used for the sole purpose of powering this feature. In order to check login activity and potentially block fraudulent attempts, the following information is used: attempting user’s IP address, attempting user’s email address/username (i.e. according to the value they were attempting to use during the login process), and all IP-related HTTP headers attached to the attempting user. Failed login attempts (these include IP address and user agent) are tracked. We also set a cookie (jpp_math_pass) for 1 day to remember if/when a user has successfully completed a math captcha to prove that they’re a real human.